Do you need a bigger file? The file available on this site is 741 x 1024 px. To obtain an alternate file type or higher resolution copy, please contact the owning institution. 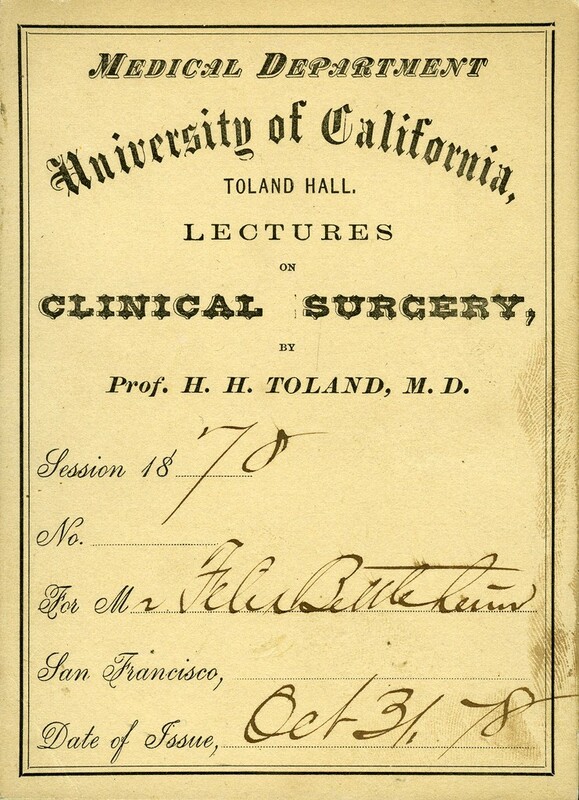 Scope/Content: Lecture admission ticket for student Felix Bettelheim to a course in clinical surgery by Hugh Toland with the UC Affiliated Colleges Medical Department, Toland Hall, San Francisco; dated Halloween, October 31, 1878.